Enable Ireland provides free services to children and adults with disabilities and their families from 40 locations in 14 counties. Covering childhood to adulthood, our expert teams work with the individual and their family on a plan for each life stage. Are you looking for more information on any of the following topics? Find answers to commonly asked questions about services, donations and our shops. Every year, we provide services to over 7,500 children and adults with disabilities and their families, in 14 counties across Ireland. Services vary from region to region so it is important to check what is available in your local centre. 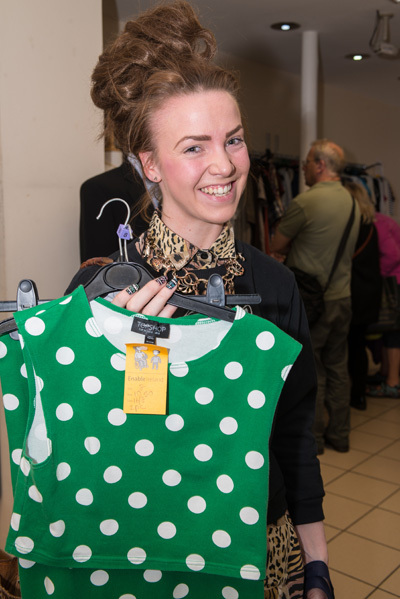 You'll find great value and quality second-hand goods in our 21 shops around the country. If you would like to speak with someone directly please use the contact form. Enable Ireland values your support and may on occasion wish to send you updates via email. If you do wish to receive emails from us, please check the checkbox. We will never share your contact details with anyone and you can unsubscribe at any time. Send me updates on Enable Ireland's activities. Enable Ireland Disability Services Ltd is a national not-for-profit organisation providing a range of services to children and adults through a network of community-based locations across Ireland. We are dynamic organisation, recognised for service excellence, working in partnership with the Health Service Executive and other providers. The quality of the services we provide depends entirely on the quality of our staff. We provide challenging and rewarding opportunities for people who can commit and contribute to our mission of enabling those who use our services to achieve maximum independence, choice and inclusion in their communities.